Located in a very quiet place north of Perigueux. 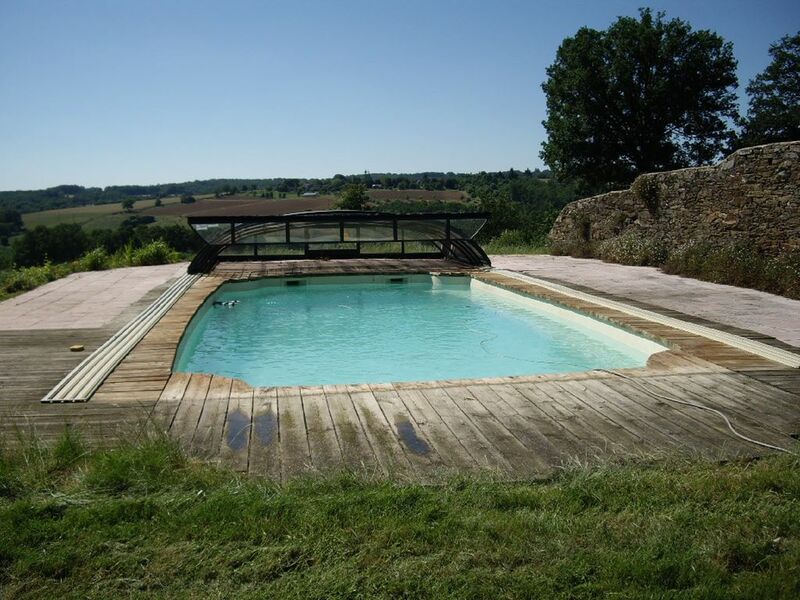 This house for 4-5 people has a shaded terrace overlooking the fields and the greenery of the Dordogne and the pool of 9 m / 4m. Free WIFI. and includes: on the ground floor 1 relaxation area with television, an equipped kitchen. on the floor: 2 rooms, small living room with television, toilet, room of water with shower. the whole includes 18O m2. this barn is on a very large lot. Animals not accepted. Last house of a small hamlet composed only of 7 houses, which is 3km from Jumilhac le grand or there is a magnificent listed castle, all shops and two doctors. 600 euros hors vacances scolaires (juillet et aout). linge 15 euros par personne.